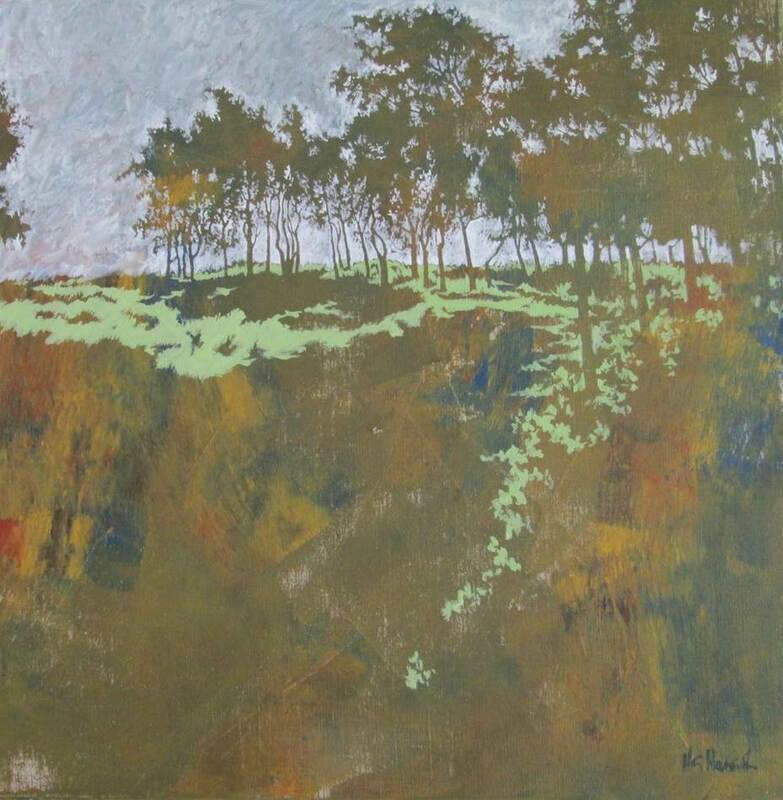 'Viewpoint' is a mixed media exhibition featuring the work of three well known local artists, Angela Bell, Heather Burton and Geoff Hewitt, who work in Hull and East Yorkshire. The artists have exhibited at many galleries across the county, including Ferens Art Gallery in Hull, as well as further afield. 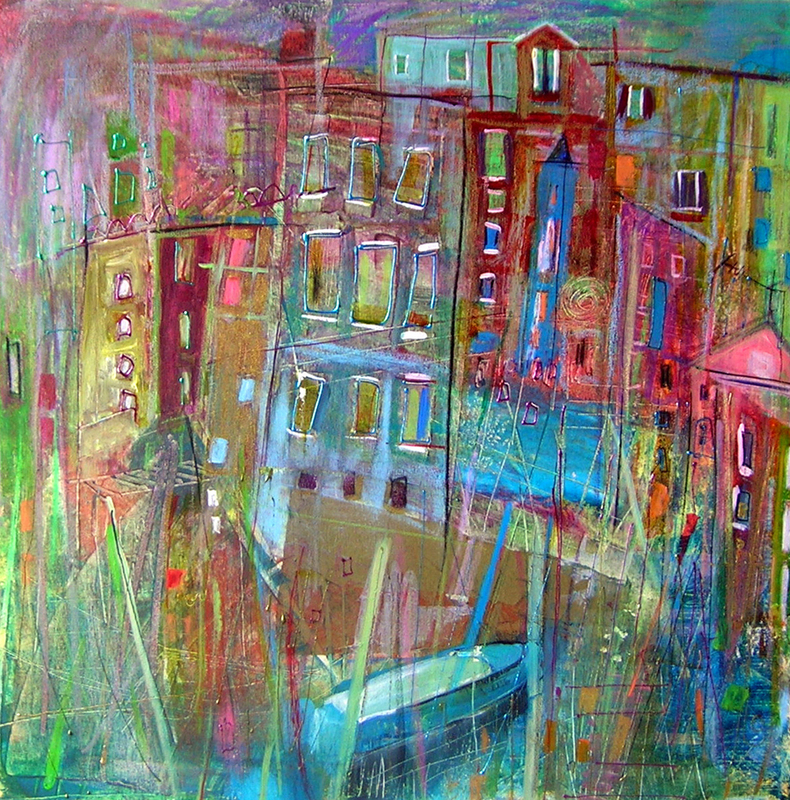 Angela Bell initially studied textile design at Manchester, where she was encouraged to experiment with colour, texture and different media throughout the duration of the course. 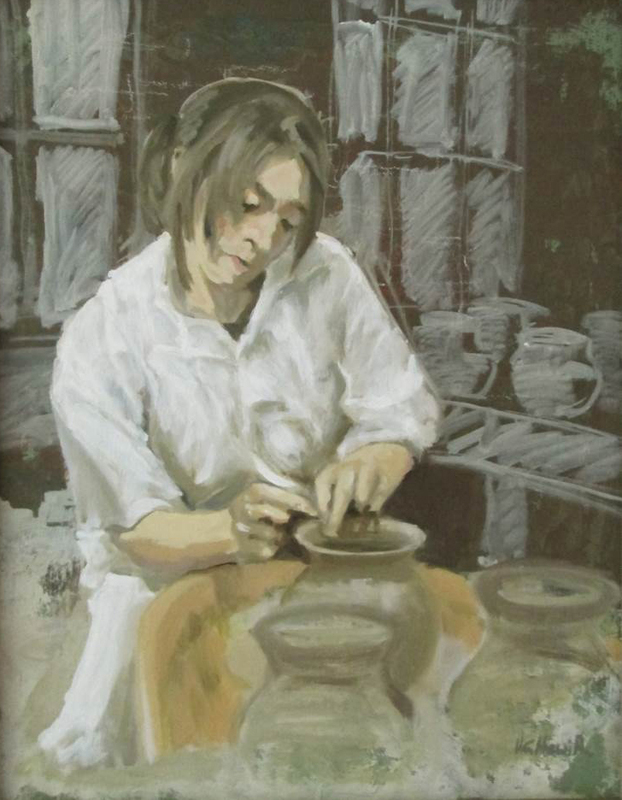 She works mostly in acrylics, though enjoys experimenting with various media. She works in a spontaneous way without too much planning, and mixed media gives her the freedom to do this. Angela travels a lot and uses the sketches from her travels alongside photographic reference to work from on her return home. 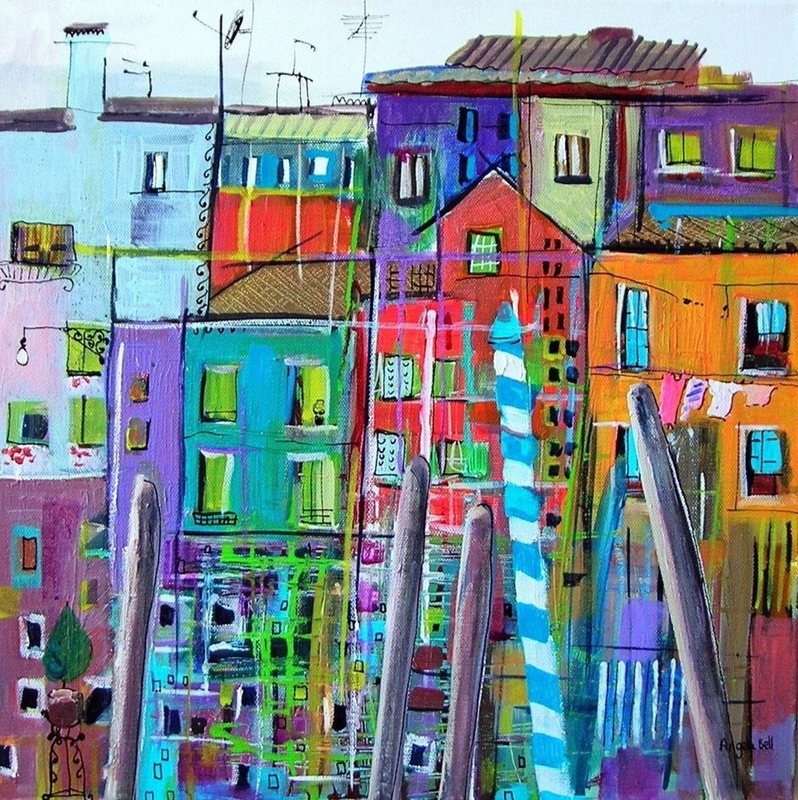 The work she is displaying for this exhibition was inspired by a recent trip to Venice and the colourful island of Burano. Much of Heather Burton’s work is figurative, but she is also inspired by the dramatic coastlines and countryside of Yorkshire and Scotland. 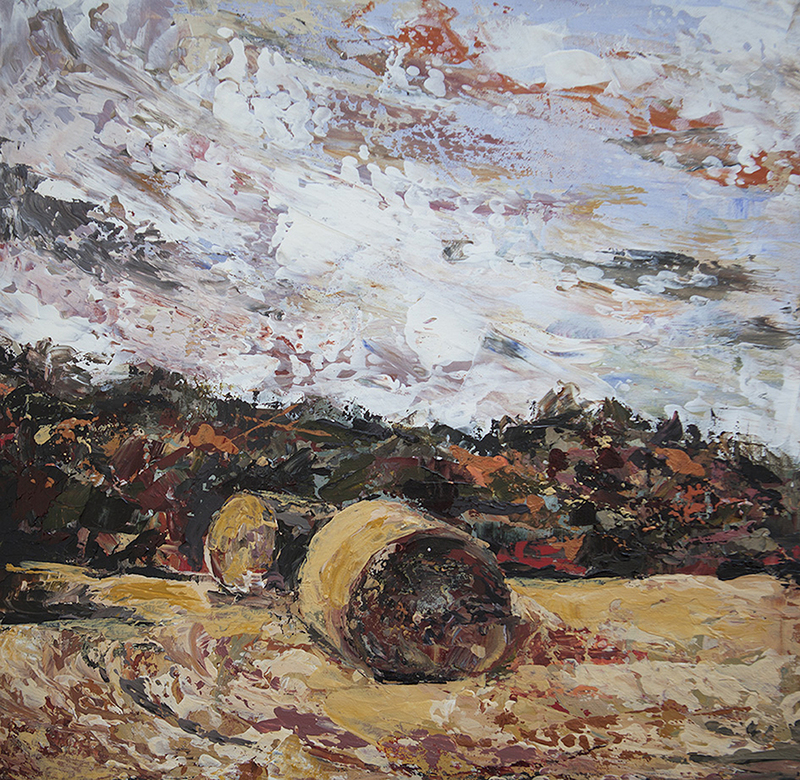 She specialises in palette knife work, applying many layers of acrylics to capture the ever-changing moods and atmosphere generated by people and places. Heather’s work sells privately as well as through exhibitions and galleries throughout Yorkshire and in Cambridgeshire. She is a member of East Riding Artists and a regular participant in the Staithes Festival of Art and Heritage held in September. When she is not working as a magazine journalist, Heather spends every spare minute painting from a small home-based studio, where she also holds workshops in palette knife painting. Geoff Hewitt’s work is figurative, with explorations into landscape, emerging from commonplace events, single moments in time and the unsaid. Although some of his work is from 'life', he favours the use of his own photographs as a source, in a process of dismantling and rebuilding - often with the incorporation of new images - to explore his connection with subjects. The narratives that develop invite and facilitate the viewer to digress, using their own experience, to achieve different outcomes and to relate more closely with the work. 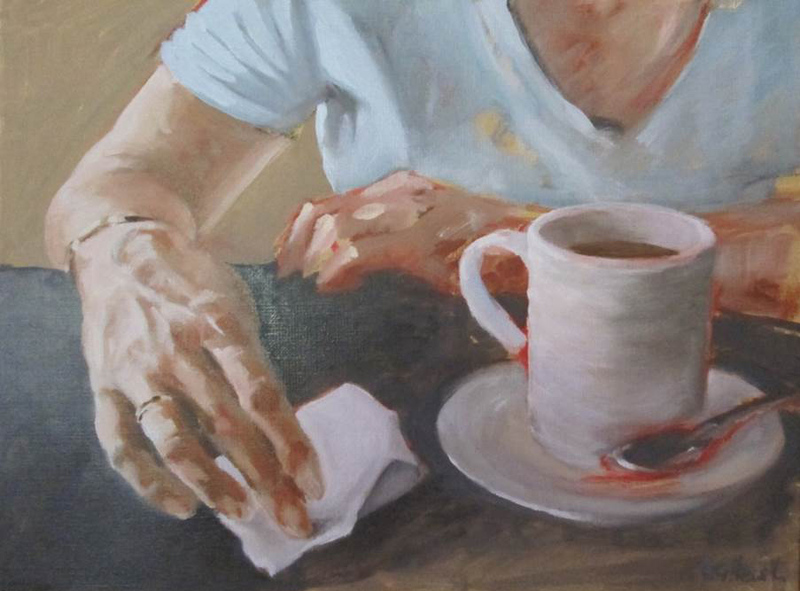 Geoff works in a variety of media, including oils, pencil and charcoal.